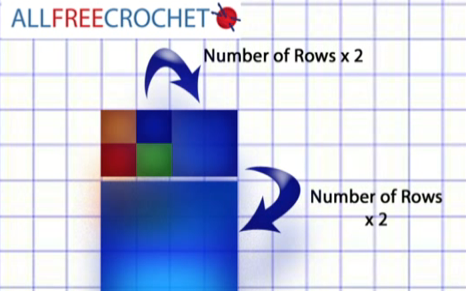 How to figure out the rounds for making multiple sizes of granny squares inside one afghan. Have you ever wanted to do an afghan where you are mixing different sizes of granny squares together within one afghan? In this tutorial video, I explain how to figure out the mixes to keep the squares in balance with each other. Many people on Facebook really love to click LIKE when they see an afghan that is unusual or unexpected. Mixing different sizes together can be self rewarding to push your own creativity to another level. Watch how I figure out the different sizes. You can download free graph paper at Print Free Graph Paper. You will see in the link that you can change the sizes of your graph paper boxes. This may help you figure out your perfect afghan that you want to design. This entry was posted in Advice & Tips, Afghan Patterns, Tutorial Videos and tagged Afghan, Crochet, crochet crowd, Design, Granny Square, Math, Mikey, Mix, Sizing, Square. Bookmark the permalink. This is sooooo great, especially for people like me, who are very lousy in math. Color coordinating is no problem, but counting stuff logicly ho it goes together is way over my head. Thanks a million! LOL!! I watched this 3 times and STILL I don’t understand a thing he was saying!! !